Revenue from the tolls should be used to improve the area's transportation system, the committee said. 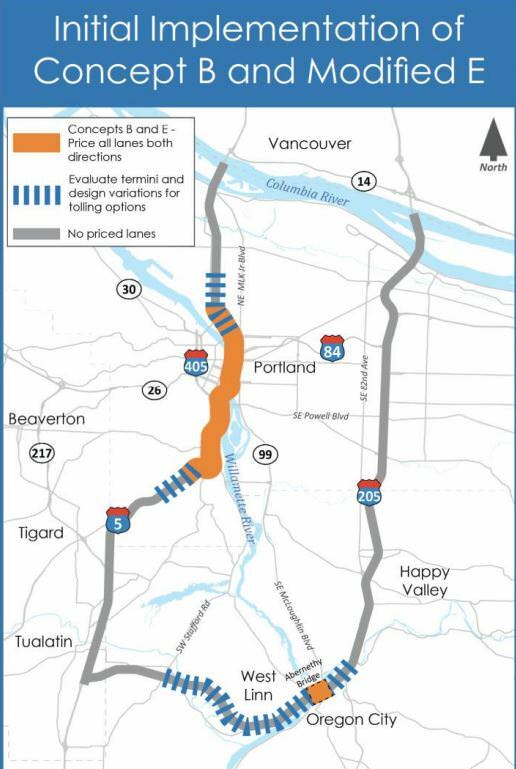 PORTLAND, Ore. – A committee on Thursday recommended the Oregon Department of Transportation tolls parts of two major Portland area highways. The recommendations come from a 25-person committee that was created last year to study tolling options. The committee was formed after the Oregon Legislature passed a transportation bill in 2017 that, in part, directed ODOT to address congestion in the Portland metro area. The committee recommending tolling in two phases. The first phase would be "pilot projects" on parts of Interstate 5 and Interstate 205. The second phase would be tolling all lanes of I-205 and I-5 in the metro area. The pilot projects would toll all lanes of Interstate 5 from Northeast Going Street/Alberta Street to Southwest Multnomah Boulevard, and Interstate 205 near or on the Abernethy Bridge. 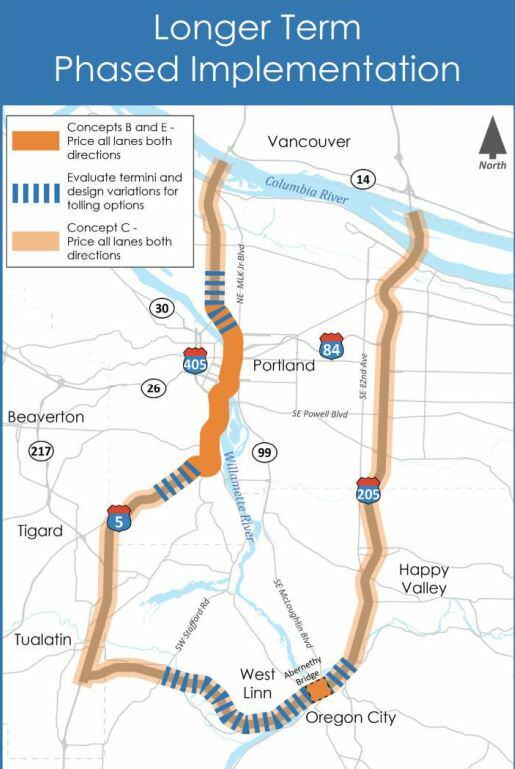 If the pilot programs are determined to be a success, the committee said tolling should broaden to all of I-5 and I-205 from the interchange near Tualatin to the state border with Washington. Revenue from the tolls should be used to improve the area’s transportation system, the committee said. While many in Portland are skeptical of the effectiveness of tolls, ODOT spokesman Don Hamilton argued tolls will relieve congestion. Although the recommendations provide a visual for what tolling in the Portland metro area may look like, it will still be years until drivers see tolls. ODOT will take the committee’s recommendations into consideration when it submits a tolling proposal to the federal government by the end of the year. ODOT officials held a meeting on July 12 at University Place Hotel and Conference Center in Portland to receive feedback from the public. A public comment period will remain open until July 20.